Video conferencing technology makes it possible to meet with someone in another room, another building, or another country as if they were sitting on the other side of the table. Video conferencing and collaboration is becoming a necessary part of everyday business for all type of businesses. Video conferences today treated as universally-accepted ways of business engagement. Video conferencing will enable you to collapse decision cycles across your business. Naturally, video brings people into sharp focus, allowing you to see the impact of your ideas. Using planes, trains and automobiles to meet people is an expensive business. Allowing teams to meet in a virtual environment cuts costs and saves time. Gaining productivity isn’t just about the time you’ve saved but also about how easy and effective the video conferencing system daily use. When you need your video conferencing systems to work the right way, every time, it’s important to opt for solutions that can be trusted to deliver the highest quality sound and video. Video conferencing is an excellent way for companies of all sizes to save on travel costs, without sacrificing the personal touch that the only face to face contact can achieve. Video Conferencing along with collaboration capabilities bring more power and productivity into your business. Video collaboration solves problems through near real-life experiences that parties can share in the virtual world. You get more efficient business communication when you can share screens among video conference participants. This makes collaboration a breeze and allows you to quickly develop and refine ideas, content, design and pretty much anything else you and your team need to accomplish. There’ll be times when essential employees are out of the office, working from home, on-site or out-of-hours required. With the ability to join video conferences from an internet browser or Mobile devices and equipped with features like screen sharing and remote access give grater edge to your business. We can give you the power of Video Conferencing with the ability to keep all the employees tuned and reach anyone, no matter where they are. The perfectly designed Video conferencing system allows you to instantly reach any of your colleagues or business associates no matter what systems they use.We make sure your system is multi-lingual and speaks all video languages including H.323/SIP and at the same time the power of cloud Video Conferencing. We offer Video Conferencing system allow you to Invite anyone to your meeting, from a mobile device, desktop, or room system. Every Brand in Video Conferencing industry offers Business Video Video Communication. The challenge, however, comes with picking the right Video Conferencing System to match your field of expertise and the results you wish to attain. Our expert engineers can help address critical gaps you may have in related Video Conferencing experience and our expertise, resulting in enhanced satisfaction and resulting higher productivity. We partner with you to design, deploy, support, optimize and manage a solution that delivers a superior experience in every workspace with an easy to use and consistent workflow. We ensure you and your customer enrich the experience with real-time video interaction. We offer highly professional Video Conferencing System for all type of business across UAE. Our solutions offer the best video, audio, and screen-sharing experience for your Business. We offer Features available in the more advanced tiers include the ability to record conferences, support for large numbers of people (that is, more than five or ten) and high-definition video.We carry Several Video Conferencing Systems and Cloud Conferencing Platforms to fulfill clients needs. 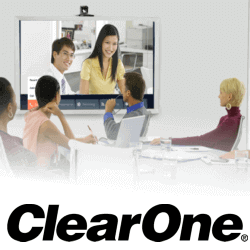 A dependable, high resolution and easy to use system start with the right video conferencing equipment. We strive to offer options at every price point. We are not just an equipment dealer, although we are proud to be selected as a distributor by the top quality brands. Video conferencing is an excellent way for companies of all sizes to save on travel costs, without sacrificing the personal touch that the only face to face contact can achieve. Video conferencing is an excellent way for companies of all sizes to save on travel costs, without sacrificing the personal touch that the only face to face contact can achieve. We deal With top brands in Video Conferencing Industry including Avaya, Cisco, Lifesize, Clearone, BlueJeans, Yealink, and Grandstream. Contact us today for Your video conferencing requirements and Free Consultation.